A lot of the readers of my blog have asked me this question. Here is an article written in Indian Express which sums up this debate in a very nice fashion. Gurgaon-based engineer Saksham Trivedi had a tough time choosing a school for his nine-year-old. The choice was limited to Central Board of Secondary Education (CBSE) and Indian Certificate of Secondary Education (ICSE). After much deliberation, he enrolled his boy in a CBSE-affiliated school. “This is an all-India education board and is the safest bet in case I have to relocate,” is the logic that guided his choice. Initially happy with the quality and standard of education, Trivedi slowly began to feel that the curriculum lacked skill development and did not give his child enough freedom to exploit his potential. He then shifted his son Akul to a renowned ICSE school nearby. “I researched the syllabus and even though I felt I should have done the comparison before, the ICSE system appealed more in terms of aptitude development and thoroughness. Had I not compared, I could have not given my boy a chance to be groomed better,” he says. Fortunately, Akul easily adapted to ICSE and seems happy with the change. “My previous school did not give me the freedom to choose subjects but here I have many options, there is no rote learning,” says Akul. The debate between concerned parents and educators on whether a CBSE or an ICSE system is better has been going on for years. With the increasing numbers of schools offering the International Baccalaureate, International General Certificate of Secondary Education (IGCSE) from University of Cambridge International Examinations and the Waldorf system; the debate has widened, providing both stress and options to parents. Not surprisingly with 12 million students in 12,504 schools including 1,002 Kendriya Vidyalayas, 1,944 government schools, 8,966 independent schools, 562 Jawahar Navodaya Vidyalayas and 30 Central Tibetan Schools, CBSE remains the hot favourite, followed by ICSE with 1,900 schools in India and about 1,40,878 students (including 232 abroad). Experts believe that this bent can be credited to their accessibility and the result-orientated approach in content. Case 1: This year, Delhi boy Paras Sharma topped the Class XII CBSE exams with 99 per cent. A student of commerce from Lancer Convent School, Rohini, North Delhi, Sharma scored a perfect 100 in mathematics, accountancy, economics and business studies and 95 in English. A total of 944,721 students took the Class XII board examinations in India and abroad, which was also an increase of 15.81 per cent over 2012. Case 2: Bhuvaniya Vijay, a student of Class XII at St Joseph’s Academy in Dehradun, was the overall topper in ICSE exams with a score of 99 per cent. Over 5 lakh students took the ICSE Examination 2013 and ISC Examination 2013 across the country. Clearly the two cases in point show how the two apex Indian boards remain at the top of their game. While many parents point at inflated scores as a good sign for admission in higher education institutes, academic proponents say it is the “competent” system which gives rise to students working harder. Lata Vaidhyanathan, principal of Modern School, Barakhamba Road, New Delhi agrees. “I have been a part of the CBSE deliberation for many years and I believe in its national curriculum. I have witnessed significant changes in the last two years and it has only led to its betterment. You cannot wait to change; there has been an adoption of a great reform system. So naturally, I am a great votary of CBSE,” Vaidyanathan says, adding that from an educator’s perspective, the CBSE system provides many opportunities to students. Pramod Sharma, Director and Principal of Genesis Global School, Noida, adds another interesting point about the two boards. “Both CBSE and ICSE (CISCE) have slightly different focus in terms of course content. The course content in CBSE is more focused towards science and mathematics with lots of attention paid to application of knowledge. CISCE (ICSE), on the other hand, is more balanced with equal focus on language, arts and science. Both the boards have undergone a significant change over the last 10 years and the focus has shifted from passive learning to learning through experience and experimentation. The Formative Assessment in CBSE is largely based on this concept,” he says. Some educators point at university admissions being an important reason for students opting for the two national boards. With inflated cut-offs at apex varsities like University of Delhi, the primary concern for parents has shifted to securing a higher percentage and CBSE appears to score brownie points on that front. Prathmesh Kumar, a Mumbai-based ad-man whose daughter secured 96.72 per cent in CBSE exams this year says, “When we enrolled our daughter in school, our focus was not really to examine the various boards but to see her get through a good college. And though she has many options in Mumbai, she is hell-bent on getting through Delhi University.” He adds that the CBSE examination system gives a wider option to students now, especially with the astounding number of 95 per cent and above scorers this year. Interestingly, players such as IB and IGCSE have also managed to carve a niche for themselves with many schools now catering to the “expat and NRI community.” Both the international boards came to Indian shores years ago, but in the last five years, the number of schools tying up with them has shot up significantly. While there were a mere eight institutes offering the IB programme in 2000, the number of schools offering IGCSE was so insignificant that the board did not even have records of its presence in India in 2000. However, the scene has significantly changed. Currently there are 197 schools in India offering a Cambridge education, while 99 others impart the Geneva-imported IB programme and Maharashtra, with 109 IB and IGCSE schools, leads the tally, followed by Karnataka, Tamil Nadu and Andhra Pradesh. She adds that the fewer numbers of parents wanting to enroll their wards into this system can be attributed to the fact that an IB Diploma programme is considered more challenging, exclusive and expensive. “However, the most important factor is that it is different from the present framework available in India. The core focus of IB lies in preparing an independent learner and in the process, the curriculum, student handling, fee structure, assessment, all are customised to IB offerings. Therefore, with change, misconceptions and doubt do arise but I am sure with a steady outflow of accurate information, there will be a better understanding of the offer,” says Uppal. Not just educators, a number of urban parents are now vying for the international education systems. 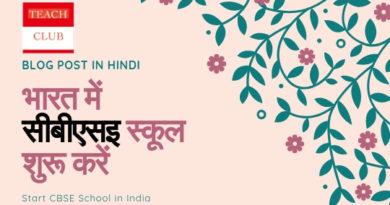 Alaknanda Mehra, a 28-year-old graphic designer from Mumbai says, “After I relocated with my husband to Mumbai a year back, we were desperately looking for a good school for my 12-year-old daughter. Apart from the brand of the school what concerned me more was its curriculum. She was already in a CBSE mode school in Bangalore, but I wanted her to get into an IB school so we can send her abroad post Class XII. We finally found one in Tardeo, Mumbai,” she says. In keeping with this current trend, even CBSE started an international programme called CBSE-i. The programme was introduced in Classes I and IX in 2010 and in Classes II, VI and X in 2011. Last year, it was further extended to classes III, VII and XI. The Performance Analysis Test (PAT) which was piloted in Grade IX of CBSE-i was extended to Grade X in four subjects of verbal ability, science, mathematics and social science and was being offered to some select schools of India also as a pilot project. To begin with, the Board has implemented this curriculum in about 29 schools in Middle East and South-Asia. Apart from IB, IGCSE is also gaining in popularity among urban parents. Sharma says, “IGCSE from Cambridge International Examinations is recognised as a Class X examination by all Indian national and state boards. IBDP is also recognised as being equivalent to any national Class XII examination. And acceptance of these two curriculums is increasing in India since parents now want their children to opt out of the race for marks option and even though these are expensive curriculums, a larger percentage of the parent-body is able to afford the high costs,” he says. Differentiating between the two prominent international schooling systems in India, Sharma says that the IGCSE and IB programmes are more practical and application-based and have a broader spectrum of subjects that lead to all-round development and are more challenging than Indian educational boards and test student knowledge, not their memory and speed. “The current system of assessment especially in CBSE cannot be labelled the best even after changes introduced in the National Curriculum Framework (NCF) 2005, which were developed to look into every aspect of school education,” says the NCERT official. The NCF document stated that examinations require systemic reforms in the context of evaluation and assessment. It also attributed the high failure rates, increasing number of school dropouts, unhealthy competition, stress, nervous breakdowns and suicides among learners to the evaluation system. This was and still is perceived to be a major hindrance in the CBSE system of education. However, even the recent changes such as introduction of Continuous and Comprehensive Education (CCE) in 2009 where as a part of this new system, student’s marks were replaced by grades which were evaluated through a series of curricular and extra-curricular evaluations along with academics; received much flak from state boards and KVs given its liberal assessment criteria. This is perhaps what differentiates it from other boards such as ICSE which lay emphasis on skill development rather than rote learning. However, it cannot be denied that over a period of time the numbers of ICSE schools have decreased driven largely by the demands of universities and entrance examinations, the syllabus of which is based on the CBSE curriculum. “Even though ICSE does offer a sound curriculum framework, the above factors have been a serious impediment to its acceptance by other schools,” she says. In comparison with assessment policies of other board such as IB, it can be noted that it operates on an entirely different level, offering qualifications which are international, transferable and portable. “When a school subscribes to the IB, it also by implication subscribes to a different pedagogical approach, innovative assessment methodologies and teacher training mandates, to name a few. In order to ensure the quality and consistency of the educational offer, the IB offers standardised training for all school teachers and leaders, in line with best international practice and their mission. In addition, the focus is on developing students who match the IB Learner Profile and are prepared to be principled, balanced, caring, problem solvers of the future,” says Uppal. 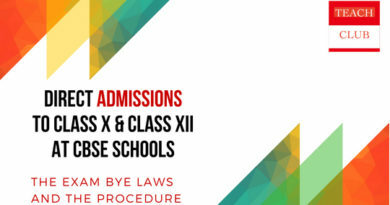 As for IGCSE, it is recognised as a Class X examination by all Indian national and state boards. The IGCSE and IB programmes are more practical and application-based. Both have a broader spectrum of subjects that lead to all-round development. Both are more challenging than Indian boards and test students’ knowledge, not memory and speed. But the challenge is in the quality of assignments and not in the extent of the syllabi. Even though scoring a higher percentage is more likely to be seen in CBSE than in other board including ICSE, the point of debate is that assessment is being done in order to facilitate admission to a Hindu or Stephens. Amid the chaos of university entrances in the country, people often tend to forget to take a close look at the foundation courses which prepare students for admissions in schools with these prominent education systems. And even though the race to reach the top of the ladder—whether it be for marks or university entrances—seems to begin in Class X, parents say its preparation for that goal begins earlier. His website has many anxious parents commenting and asking for help with their children’s admission, almost every day. Vohra says the chaos begins from January and pretty much goes on till the end of the year given the various boards now. With his kids now in Delhi Public School, Vohra plans to shift them to an international education system. “As far as international competence is concerned, we now have International Baccalaureate (IB) and Cambridge system of education giving serious competition to ICSE and CBSE. While IB is most favourable to children of expats and those wanting to send their students abroad post Class XII, one must remember that it is also expensive. Cambridge is also catching up, though the number of Cambridge schools in India is limited. The good thing about an IB system is that there are no prescribed textbooks and skill development is given importance since the overall curriculum is competent,” he says. Vohra adds that such a system is better after Class X, since it prepares students for higher studies abroad. Even as the debate over whose shirt is whiter than the other continues, the final call remains in the hands of informed parents. How is an IB school curriculum different from that of CBSE/ICSE? ■ Extended Essay: An independent research work, culminating in a 4,000-word paper. It allows students to engage in in-depth study of a chosen subject, which can come from any of the six areas of knowledge. During this process, emphasis is given on developing the capacity to analyse, synthesise and evaluate knowledge. ■ Theory of Knowledge: TOK aims at developing a coherent approach to learning that unifies the academic disciplines. In this course on critical thinking, students inquire into the nature of knowing and deepen their understanding of knowledge as a human construction. Students are expected to make an oral presentation and write a 1,500 word essay which is assessed and graded. ■ Creativity, Action, Service: CAS, as it is known, aims to engage students in a range of activities. These can vary from enhancing physical activity, arts or even creative thinking. Each student must dedicate 150 hours to CAS to earn the full Diploma. How is IGCSE different from CBSE/ICSE? IGCSE is a comprehensive two-year programme, spread over Class IX and X, with final examinations offered every year in May and November. Its assessment is conducted by two UK assessment bodies—Edexcel (also known as London Examinations) and Cambridge International Examinations (CIE). A student who has passed IGCSE is eligible for any +2 level qualification, like Class XII CBSE/ ICSE or any international pre-university programme, like the IB Diploma, Advanced Placement Diploma (US), and A/AS Level & AICE (UK). Assessment is not limited to conventional written papers and they consist of a variety of tests. It is aimed at a wide ability range of students, with an eight-point grading scale, from A+ to G, with A+ being the highest. CBSE was officially started in 1962 with 309 schools and today has 12 million students in 12,504 schools including 1,002 Kendriya Vidhyalayas, 1,944 government schools, 8,966 independent schools, 562 Jawahar Navodaya Vidyalayas and 30 Central Tibetan Schools. At present, there are 197 schools in India offering a Cambridge education while 99 others impart the Geneva-imported IB programme and Maharashtra, with 109 IB and IGCSE schools, leads the tally, followed by Karnataka coming a distant second, and Tamil Nadu and Andhra Pradesh. ← Not for Profit Society – Necessary requirement for opening a School in India – A Note. This is a very detailed article reflecting upon the knowledge and experience of the writer! The debate between cbse vs ib and other boards is often weakly constructed but this made me learn a lot. 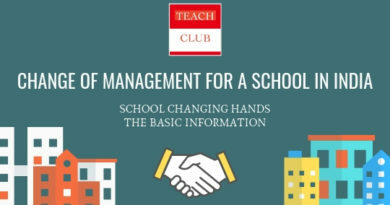 You have concisely explained about the entire curriculum and its aspects with complete comparisons. Most international schools like Greenwood High School, Indus School and Canadian School provide an option to choose between ICSE, IB, or CBSE to the students. Choosing curriculum is in the parents’ and students’ hand only. But this information would be helpful for people to understand about all the curriculums and their prospects. Can IB student appear for engineering /medical ? Yes absolutely – although students sometimes find that the workload in the IB means there isn’t enough time for tuition for these entrance exams. Also, to do medicine in India, one needs all three sciences – this is possible in the IB but needs special waiver. All in all, I still recommend the IB as an amazing program which builds quality of thought, outlook and character. Difficult since engineering / medical entrance exams in our country demand 3 science subjects – this is impossible to do in REGULAR IB. However IB has come with a modified programme for Indian students where they can take PCM or PCB. Unfortunately this is not recognized at par with the regular IB at an international level. IB by itself is a fantastic all round skill development curriculum. Nevertheless for Indian engineering and medical studies the A level from CIE is better as it is very similar to our CBSE / ISC system. you have written nice blog and will recommend my friends and colleagues to go over it and check the difference between these boards. Hi Abhiney, you have done a wonderful job and I appreciate your research to give an idea to parents to take decision on board they want to put their kids in. However, I have a question that after passing IB diploma, can a student appear for competitive engineering /medical etc. exams in India? If IB is be recognised by Indian Universities? Because some parents may change their decision later due to change in the circumstances and they want their kids to study in India only. My kids are in a boarding school in TamilNadu and the school is changing their board from ICSE to IGCSE/IB. My older one is in 8th grade now. If he continues until his XII, can he appear for all competitive exams and is the syllabus recognized by major universities in India – I hear mixed reviews from parents and most of the opinion lean towards sending the students abroad, which is not going to be the case for us as we want our kids to continue studying college in India.